Georgy Toloraya, executive director, BRICS National Research Committee, Russia talks to TBP about the BRICS Bank and why “BRICS should not be a Western style alliance”. 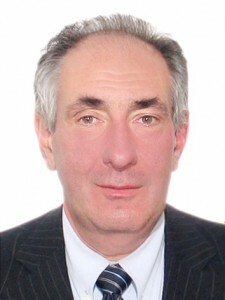 Toloraya is also head of Regional Projects Department, Regional Director for Asia and Africa, “Russkiy Mir” Foundation. Question: Would the BRICS Bank be an alternative to western financial institutions like the IMF or the World Bank as calls for reforms at these existing international institutions have gone unheeded? Toloraya: I cannot say that the BRICS Bank, when created, will be an alternative, but it will be a competitor to the West. The BRICS bank should start as a political centre to co-ordinate macro economic policies and to coordinate investment strategies. Therefore I don’t think that the project can receive finance from the World Bank or regional development banks, or that this will be considered at the first stage at least. The proposed bank, however, will of course have to closely cooperate with the international financial institutions. Question: Where would the BRICS Bank be located? Toloraya: This is a philosophical problem. We can say that it should be located in one of the BRICS countries. In my opinion, Moscow is the best location. As you know, we are trying to construct an international financial centre here. Although Moscow isn’t exactly at the centre of international financial roads, but it is closer to all other BRICS capitals, than any other single capital. Another alternative is some kind of an established world financial centre, like London or Geneva. Question: Do you think the BRICS bank will be high on the agenda of the Durban summit? Toloraya: This is one of the important issues the BRICS agreed to consider last year in the relevant paragraph of the Delhi declaration. This year they will listen to what the findings are. I believe that this process of creating the BRICS Development Bank will continue, because all the countries do need it. Most importantly, as an analytical center, which is very urgent for bringing closer the economies of the five countries. Question: Would either the US or EU get stakes in the BRICS Bank? Toloraya: There were some rumours about that. But I don’t think that at least initially the US or other countries outside BRICS will hold any shares in the BRICS Development Bank. I don’t see anything wrong with the BRICS Development bank getting loans or finance, or deals with the international financial system, which is, of course, dominated by traditional financial centres in Europe and America. Question: How do you see Russia strengthening the BRICS using the G20 Presidency as announced by both President Putin and foreign minister Sergey Lavrov? Toloraya: Well, you know that G20 is the closest to global government that we have now and BRICS strategy is to improve or to modernise the system of global governance. So, actually there is a synergy there. I think BRICS are coordinating well inside G20. Question: South Africa’s foreign minister recently said that: “The emergence of BRICS has not been well received by all of us. There are those who do not have a positive appreciation of BRICS because they believe that its continued existence will threaten the status quo and tamper with the current international balance of forces.” What do you think? Toloraya: On one side international balance of forces is continuously changing. We’ve seen acceleration of this process in the last years. We can no longer talk about a unipolar world. And the last financial crisis has underlined the inability of a traditional status of power to solve the problems. So, now the world has become polycentric and it needs new coordination mechanisms, and it needs some kind of a new system to set up the rules, which supposedly will be more just than the present ones that are often based on unilateral actions. So BRICS are a very useful instrument in the process of building a new system or rather modernising the existing one, which would not be violent, and would not lead to conflicts. BRICS countries, by their decisiveness to use international law, the UN mechanism, the political and diplomatic methods to solve problems – is exactly what the new system or the modernised system should be based on. So I don’t think that the BRICS can threaten the system or aggravate tensions. On the contrary, BRICS is going to make the process of transformation to a new state – smooth and easy. Question: An expert from Russia’s governance and problem analysis centre recently said BRICS’ major problem is that they don’t have a leader. Do they need one, and who can take the lead? Toloraya: This is the principal difference between the old unipolar system/attempts to create a new unipolar system and the new system of international relations. BRICS by definition should not and do not have a leader. This is a union of equals. Their strength is in their unity and the unity stems from the fact that they are so different from each other. So they should never become a sort of Western-style alliance where a single leader governs the world.